We hosting several drives this spring. Please click on the link to volunteer below. The Virginia Department of Elections requires online Voter Registration training to be renewed each year after July 1st. 1. Complete the Third Party Voter Registration Training. Certification expires on June 30th each year. Online training must be retaken annually after July 1st. 2. Complete the affidavit. Underneath Online training video, on the same web page, there is an instruction in green italics. Be sure to click on it to go to the Survey Monkey questionnaire, which is the affidavit. After you have completed it, your name will be entered into the database for this year. 3. Complete a Voter Registration Application Request and at the end of the training. 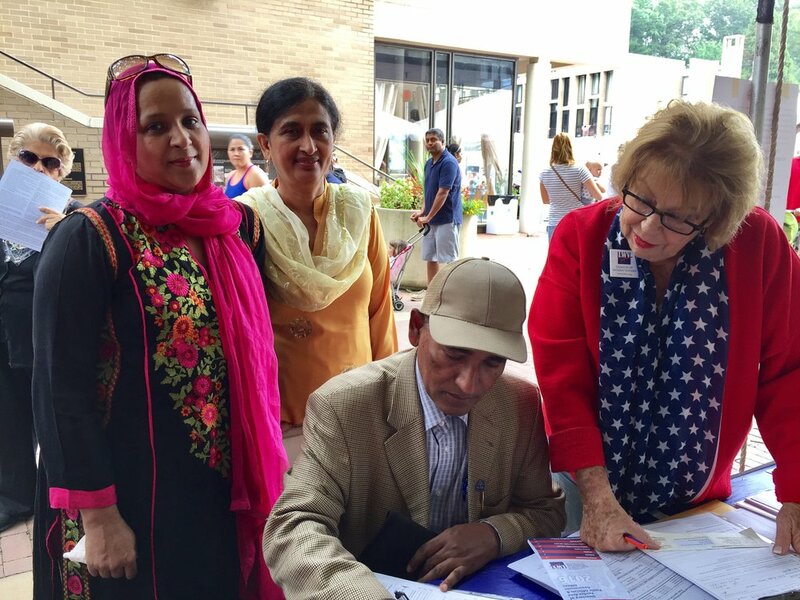 The League of Women Voters of the Fairfax Area seeks volunteers to register voters at various locations across the county. We have completed our Voter Registration Outreach for 2018. We will post drives here when we schedule them. 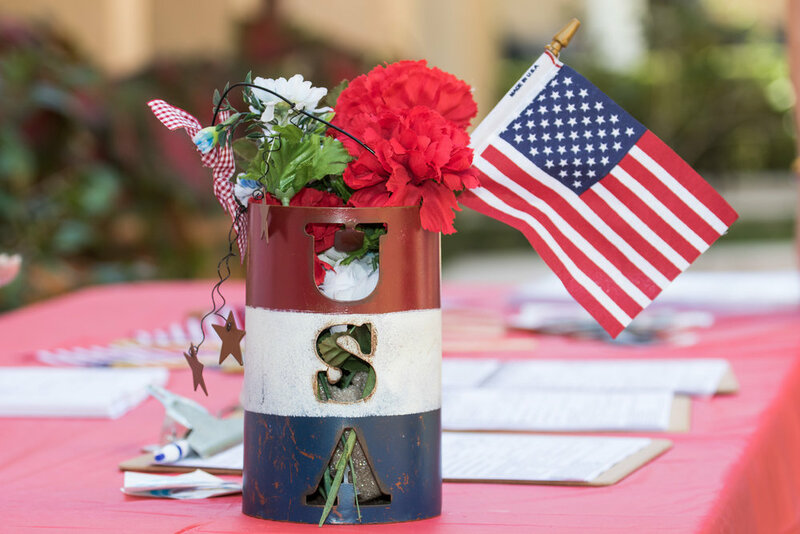 Interested in ORganizing a Voter Registration drive or Have questions about volunteering? Interested in organizing a high school voter registration drive or have questions about the voter registration challenge? Contact Beth Tudan, our Executive Director, at director@lwv-fairfax.org or visit the Fairfax County Public Schools High School Voter Registration Challenge page. Holding a Voter Registration Drive? Note: These are from Fall of 2018. We are leaving them here as an example of what we’ll have in the future! Make sure you download and bring these LWVFA flyers with you! You will find who is running for which office, the bond issues, and two proposed Constitutional Amendments for Virginia. Be sure to print out the handout, What's on your Ballot? Here is the handout for the 2018 Get out the Vote. Make sure people know about the High School Voter Registration Challenge, too! Find your Voters' Guide on VOTE411.org. The candidates have answered questions explaining their policies. You can also register to vote, order an absentee ballot, find your polling place and more!